Summer! It is in full swing. This one has been a hot one for Denver which has been very good for the raspberries in our yard. 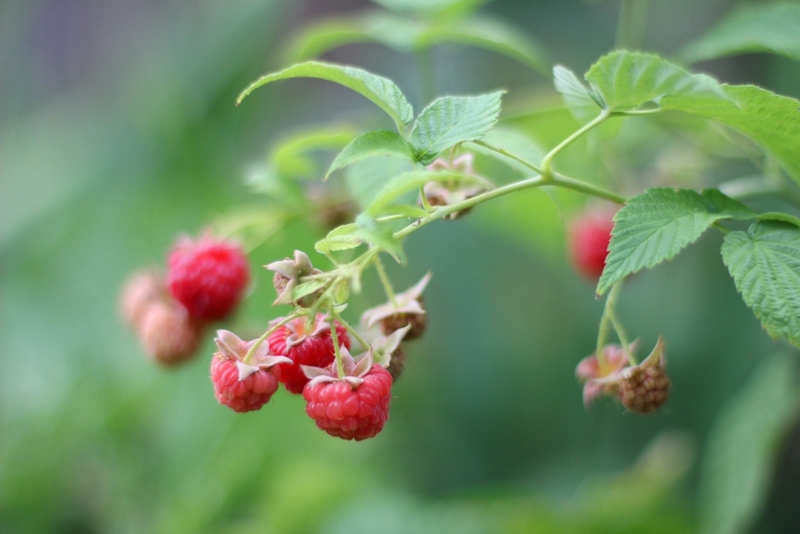 This past weekend I went outside to discover that our raspberries seemed to have ripened overnight! I ate some of them right off the bush but I was inspired to make something yummy with them and do it fast before they over ripened. 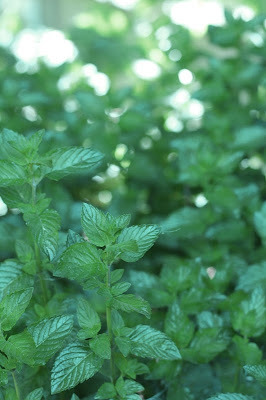 Then I remembered we also had mint growing in the yard and I knew what to do! 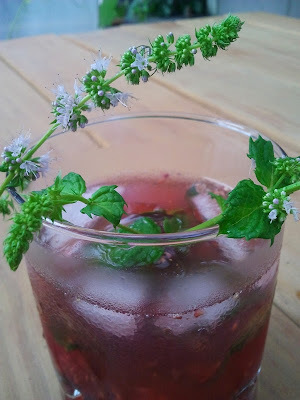 Raspberries + mint = cocktail! I didn't want to run to the store so I just used what I had at home. I am far from being a bartender so I just put together what tasted good to me. 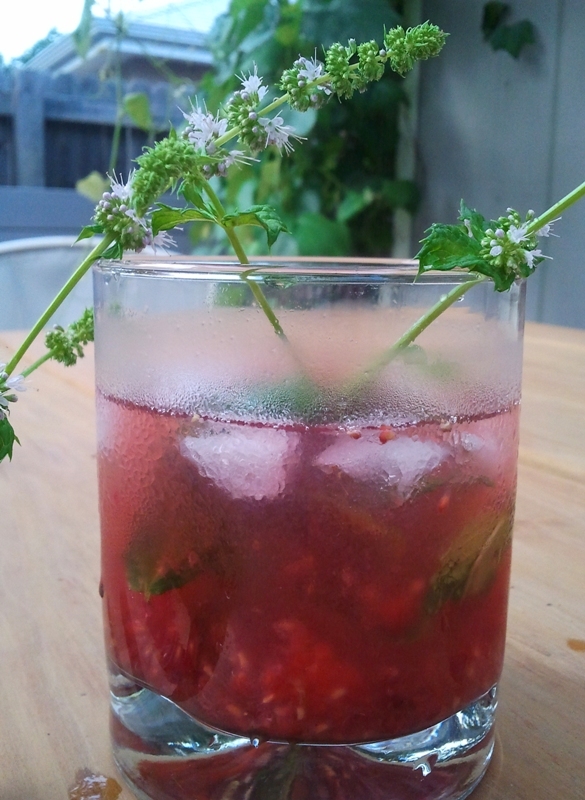 It was a sort of raspberry-mint-lychee vodka drink. 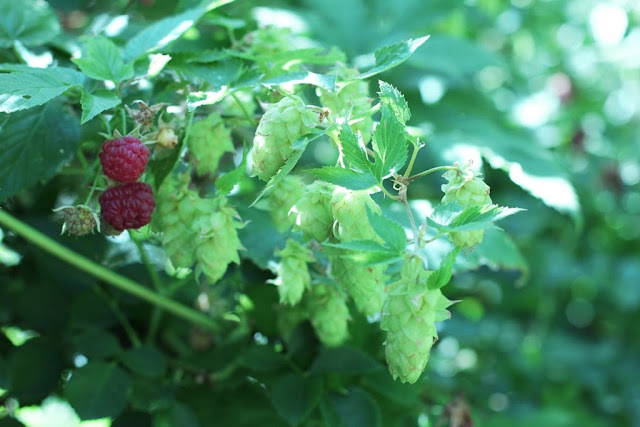 And just for fun I thought I'd include this picture of raspberries and hops! The hops were a wonderful surprise that I discovered while hunting for more raspberries. Mr. H is a home brewer and he had wanted to plant hops. If these hops are good, he won't have to! I see some yummy framboise ale in my future! All of these garden goodies were planted by the previous owners and we are reaping the rewards. It's one of the best gifts anyone could receive from previous homeowners! Raspberries and mint! What a wonderful combination. Your concoction looks so refreshing. Thanks for becoming a follower. Now that I am at your site, I think we will be good friends. One way I can tell if a blog might interest me is by looking at the blogroll of favorite blogs. Oh, yes, we definitely share similar tastes and interests. Thank you for following! I will hop over to find your post about lavender in Provence, thank you for sharing that! I just can't get enough of lavender or Provence! Hi Khammany, thank you for visiting and following my blog. I think your mint and raspberry cocktail looks delicious. We are picking blueberries at my home right now and it is a great gift from the previous home owner as well. I hope you are having a good weekend! Hi Stacy! Yum! Blueberries would be another great one to have in your garden seeing as they're kinda pricey at the store! Thanks so much for stopping by and I hope you're having a great weekend too! Your raspberries look beautiful! What a nice surprise gift from the previous owner. Wonderful looking cocktail! So nice to meet you! 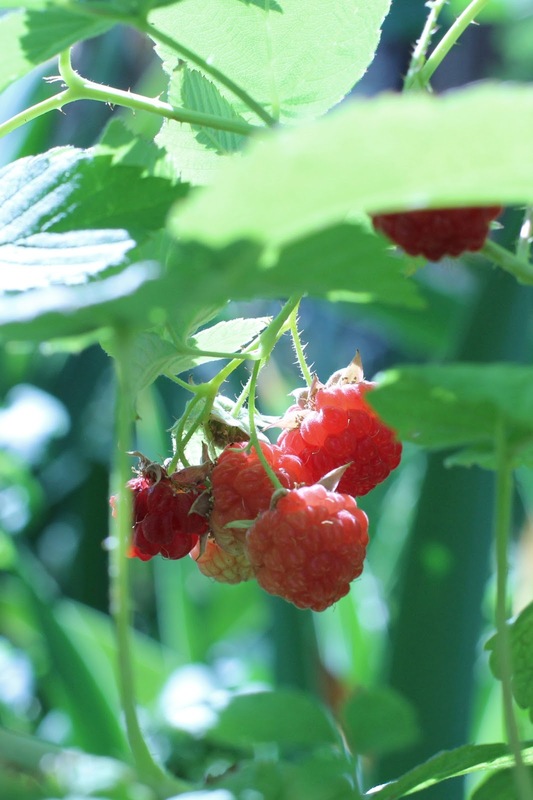 What a sweet surprise to have discovered these dainty, tasty berries! Your cocktail is most creative and I'm sure just as refreshing. Looking forward to getting to know you through your lovely and inspiring posts! Thanks for visiting and following and am happy to do the same! 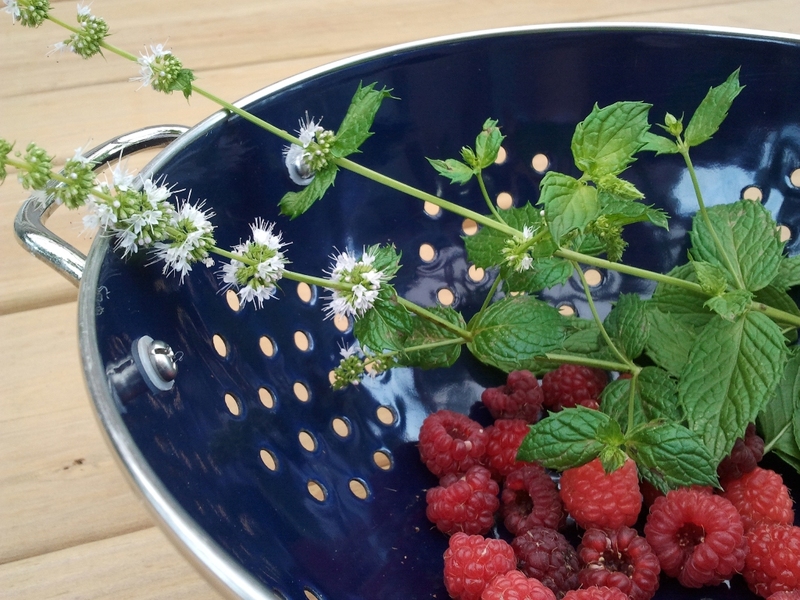 Rasberries are among my favourite fruits and I have a lot of mint in my garden, I'll try this! Thanks so much for visiting my humble blog! I have to buy my raspberries at Costco's (in the frozen section usually.) Your recipe looks wonderful! I will have to try it this summer. PS Our little kitchen in the the contest at Apartment Therapy! See my blog for the link! I could do with one of those gorgeous-looking drinks right now!